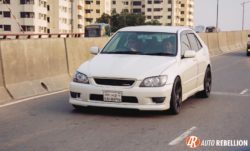 The Toyota Altezza, one of the most popular compact sports sedan to come out of Japan, built during the time when the leading European manufacturers were building performance emphasized cars, was Japan’s answer to face the foreign competition with a Front engine Rear wheel drive platform that has the perfect blend of luxury and performance to go around the corners faster and better than any other affordable sedans of the era. 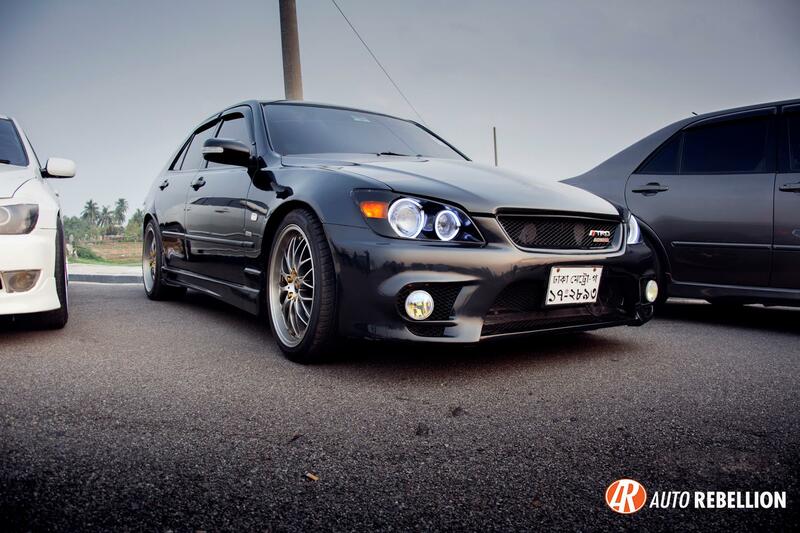 The Altezza project was led by Nobuaki Katayma the person who was responsible for the AE86 Project. 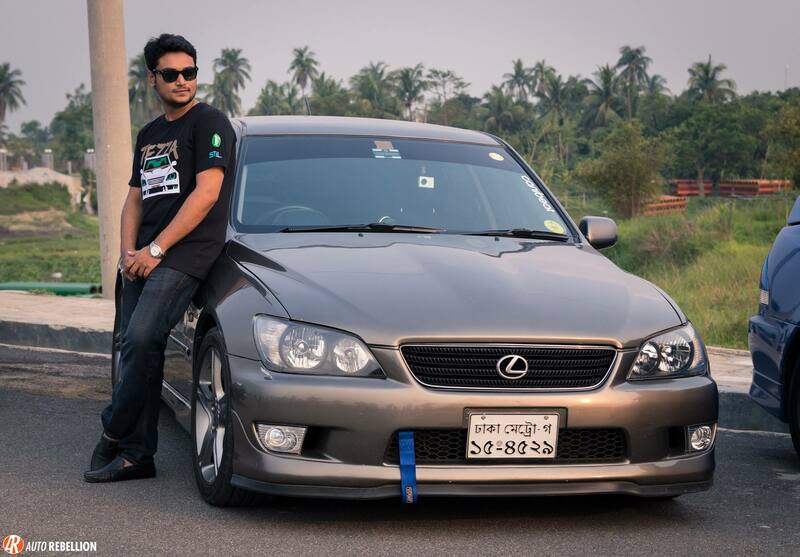 The Toyota Altezza was a very popular car for the enthusiasts because of its handling capability and the platform that gave the car a very good advantage in performance. 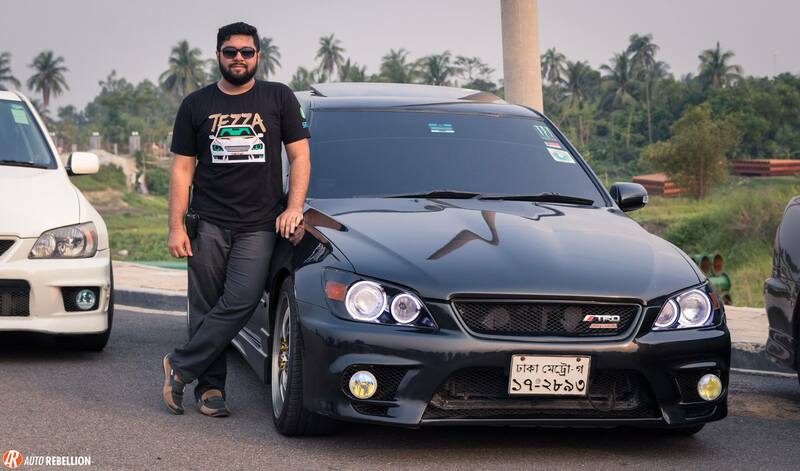 The engine and transmission in the Altezza was positioned almost towards the middle of the car and that meant the car achieved very good cornering balance, and very minimal body roll unlike any front engine-d sedans. 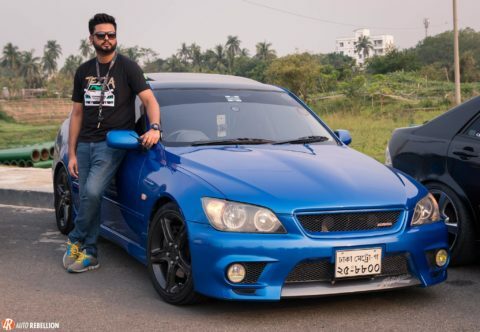 The AS200 and the RS200 are the two models introduced in Japan where the AS with the chassis code GXE10 came with a 2.0ltr inline 6 cylinder 1GEFE engine and the SXE10 having the most powerful 2.0 ltr Inline 4 cylinder Blacktop 3S-GE engine. The 5th 3S-GE engine in the RS200 Altezza made around 207 hp and 216Nm of torque. 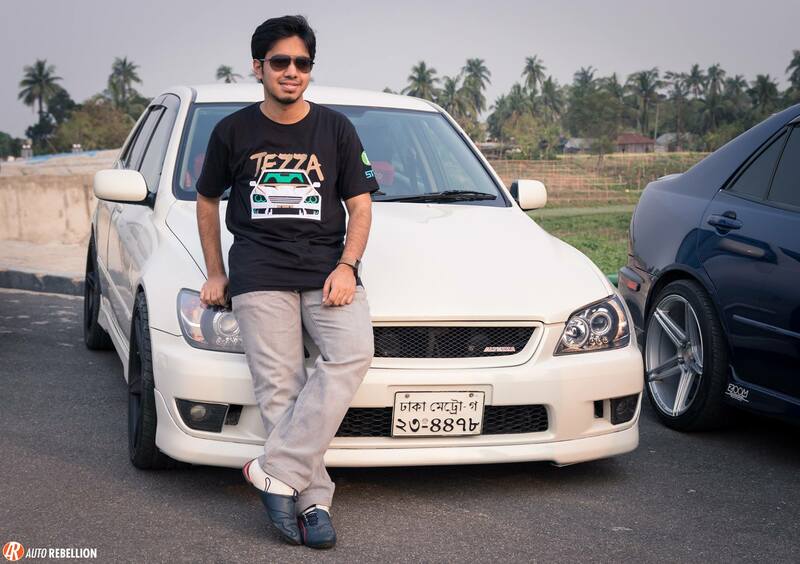 In Bangladesh quite a few of Toyota Altezzas were imported during the time of the production through 1998 to 2005. This makes the Altezzas extremely rare and those who have acquired them today in the world or had them since the beginning know how invaluable this car is in the market right now. 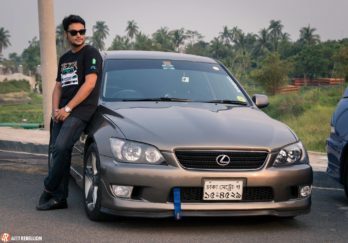 The performance potential and the superb handling characteristics makes it the perfect sports sedan to drive around and the design being almost 19 years old is still stands as one of the most iconic creations to come out of Japan alongside the cars like the supra, 90s celicas , Honda 2000s and so on. It’s surprising to see how many of such unique JDM breed cars such as the 1990s Levins, Truenos, St202 Celicas have made its way to our country and the Toyota Altezzas from the late 90s to early 2000s is no exception. 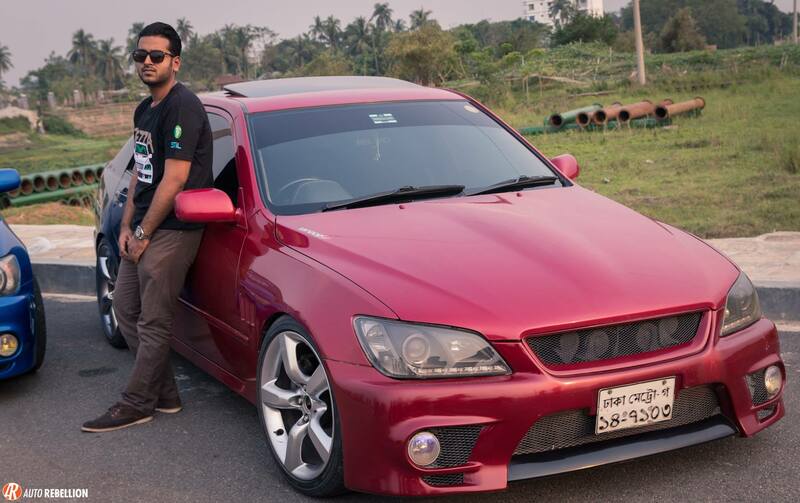 Car meets were nothing uncommon as car loving people used to hang out with their cars back in early 2000s and even in the 1990s in Bangladesh. 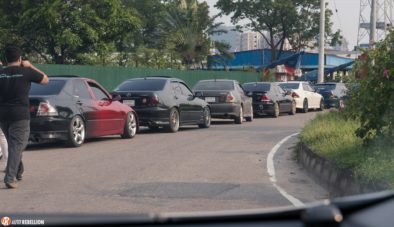 Today we still follow the trend and car meets and hangouts still take place on special holidays and occasions whatsoever. 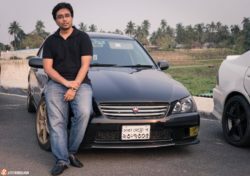 On 1st May 2017, such a car meet was arranged that took almost a month of planning and hard work. 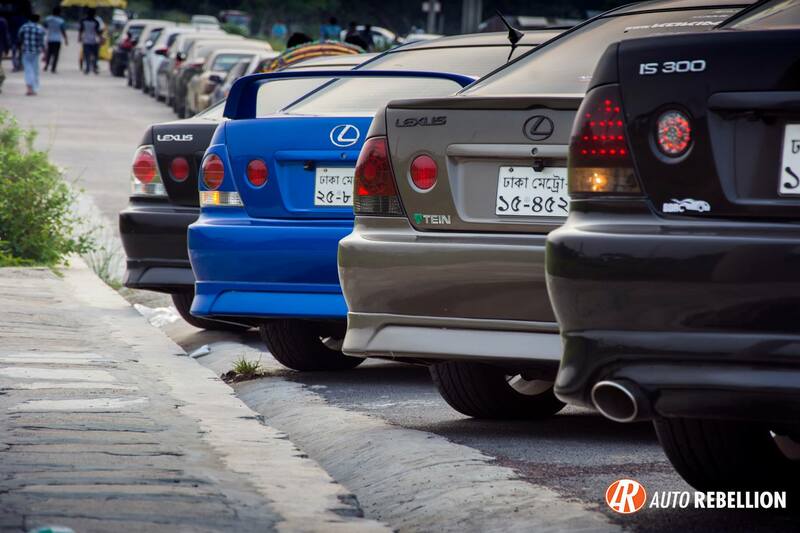 It was the first ever Toyota Altezza meet to ever happen in Dhaka that looked into uniting all the Toyota Altezza owners and enthusiasts in Dhaka to a hangout. 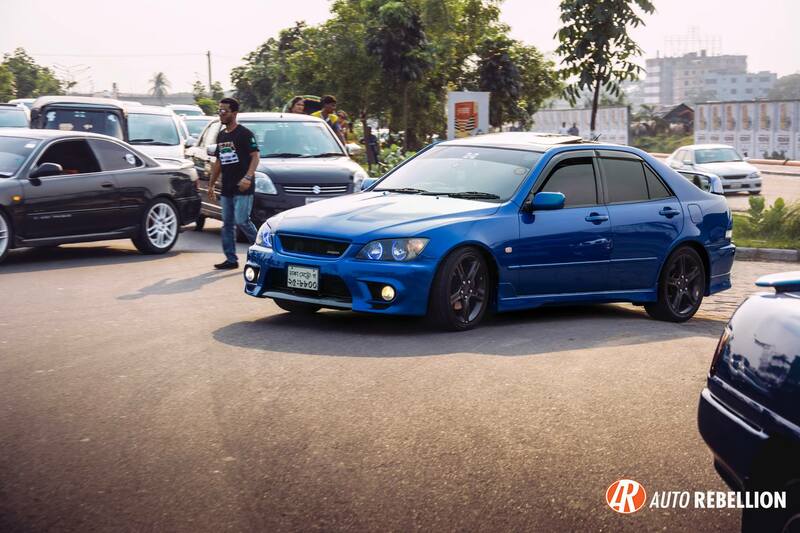 The Altezza Meet 2017 was organized and sponsored by RPM Auto Solutions Ltd and F.K.N Group and AutoRebellion being the digital PR partner of the event. The Altezza Meet 2017 was led by Mr Sowrin Samiul who came up with the brilliant idea to gather a few Altezza owners to a meet. 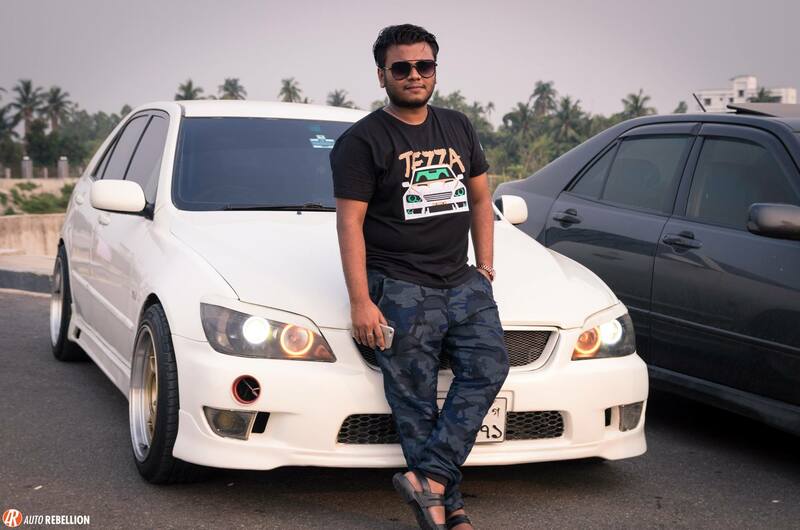 There could be such many altezzas that could almost be counted in limited numbers to around 15-20 in Bangladesh. Some are in good hands and some may have long gone due to accidents or have failed the test of time. But Mr Sowrin have acquired a beautiful RS200 Altezza and have pampered it to the best of car care products and aftermarket accessories. 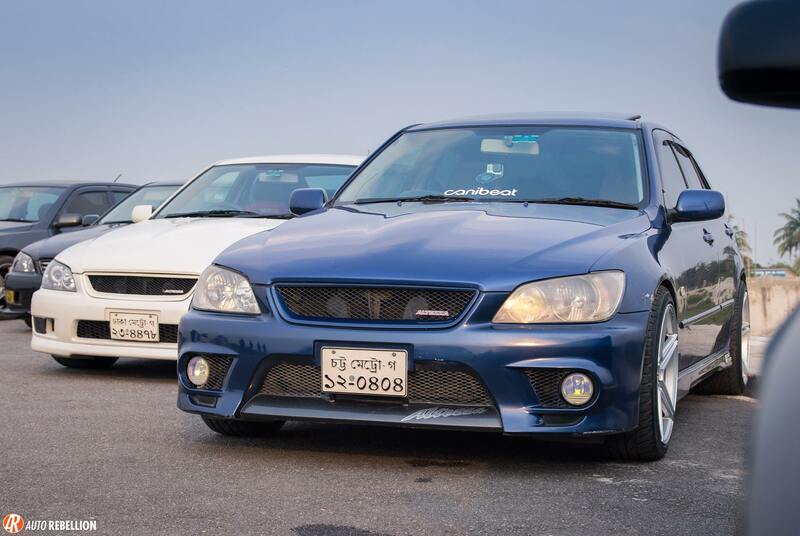 The Altezza Meet took place at the Boat Club near Dhaka PurbaChal Highway. The car meets with a specific brand of cars and their owners aren’t just to show off about how unique and rare the car is to possess but also to share some knowledge on how to take care of the car, how to make the car perform better and also to source the available parts in Bangladesh since the car is a very rare JDM gem in our country. Finding an Altezza oem component can almost be like a treasure hunt in the pile of JDM junk that we have here nooks and corners of the country. The Altezza meet also invited three Altezza owners from Chitagong who drove all the way to Dhaka during the night before the event against all odds like heavy traffic and thunderstorm. Mr Rafayet Jamil with his beautiful AS200, Mr Kashfim Sadek with his 3SGE RS200, and Mr Saddam Haque with another RS200 Altezza. From Dhaka the owners were Sk Abu Asad with his AS200 Altezza, Asif Tanim in his gunmetallic RS200, Samin Haque’s RS200 driven by Farees Farque, Rafid Rahat in a beautiful two tone colored RS200, Shafiee Rahman with his RS200 , Mr Taif Kabir in his shiny blacked out AS200 and the most unique one Kazi Arshad Anwar with one of the most special one of the batch, a 3SGTE RS200. 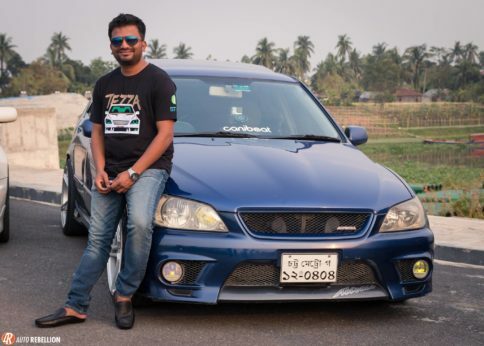 The car had a Greddy equipped turbo charger that was tuned in Japan and came all the way to Bangladesh with a little tweaks and mods to the car as a whole. 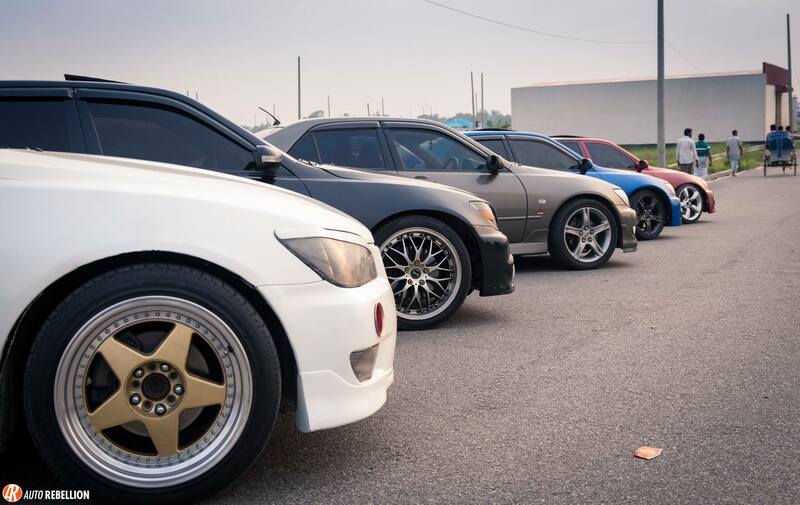 On the meet day, car loving automotive enthusiasts, automotive photographers gathered together to make this event a successful one. People of all ages love such hangouts and it’s not just about sharing the car enthusiasm but making the best of out of our weekends and holidays after a week long of hard work. 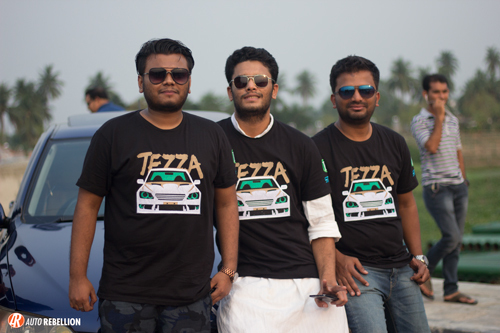 Cool Tezza T-Shirts were also sponsored by RPM Auto Solutions and F.K.N Group as well for the Crew members and the Altezza Owners. 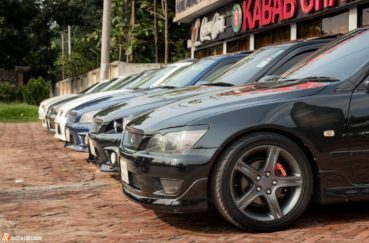 We live in a country where there are certain limitations are set to sharing an automotive enthusiasm. These limitations can be very illogical in certain circumstances but we if we work together to change the perception that ‘motorsports, car meet’s are not just about recklessness then we sure can set a new direction to the automotive culture and scene in Bangladesh. We are very much Thankfull to Sowrin Samiul of RPM Auto Solutions, F.K.N Group and all the hard working crew members who have worked really hard behind the arrangement of the Altezza meet and we sure want to see the Altezza owners family get bigger and hold much exciting car meets in future.